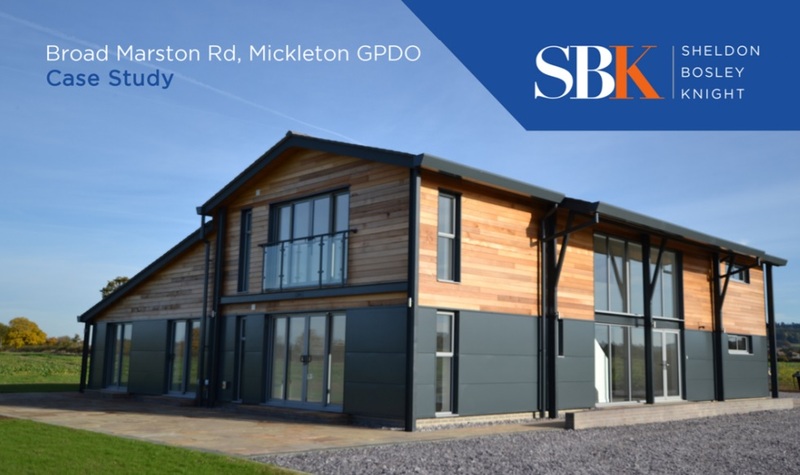 This project involved a change of use application under Class Q from steel framed agricultural building to dwelling. A Class MB application was submitted to Cotswold District Council for the conversion of a steel framed agricultural building to one dwelling. This application was pre-change of Government Policy to Class Q. The building was a steel portal framed building having concrete block walling at lower level to the perimeter. It was a redundant building for the requirements of agricultural due to its height, being no longer usable for modern large agricultural machinery. Therefore this building was surplus to requirements and the subsequent application was put before Cotswold District Council for their determination. The application was duly approved and the conversion took place. The challenges for this particular conversion were of a more technical nature of how the new sub-frame would be connected to the existing steel frame putting no loading onto the existing concrete base. A technical challenge was overcome by a design that connected to the existing upright steels using composite panelling and external timber cladding. The property was completed and is now being lived in by a new tenant. The building is of a modern design having full height glazing and a smooth clean finish line and large open space living internally, which was complemented by well designed lighting. The Planning Specialist was Sam Russell MFPWS MCIAT ARICS and the Architectural Technician was Panya Chaonsri.